What is imo? 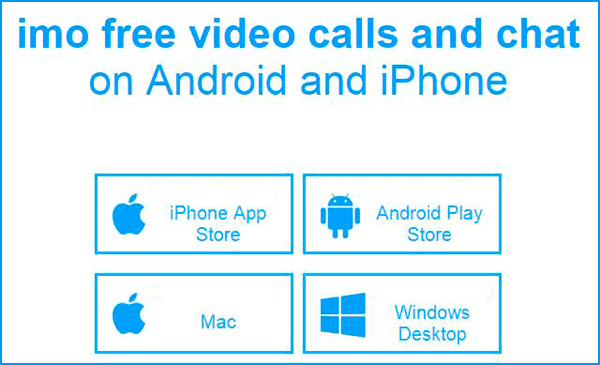 imo video calling app is a video, messaging and chat application that allows you to communicate with your friends or family for free over a Wi-Fi, 3G or 4G connection. It is available for Android, iOS and pc, is designed so that we can always use it at any time and wherever we are, at home, at work or on the road, anywhere in the world. You can send unlimited text and voice messages, make free calls and video calls to any device. Imo takes your security very seriously so all its features are encrypted (chats, voice, videos) both at source and at destination. One of the things that has most caught our attention about this fantastic application is the simplicity of its interface. It is a very intuitive tool, as soon as you download it you can start using it quickly, everything is designed for your convenience. You can chat with all the contacts in your address book or with the users to whom you send an invitation to contact you. If you have a lot of open chats and want to search for something from one of the conversations, you can use a search engine, just add the keyword and it will take you straight to what you are looking for. 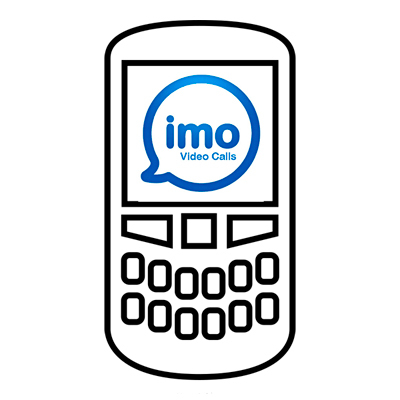 Just after downloading and opening the imo free video calls and chat application, this tool will ask you to enter your mobile phone number to which a verification code will be sent by SMS. After entering your verification code, you will be asked to enter your full name and age in order to create a user account. Please note that Imo free will ask you for permission to access all your contacts in your mobile phone’s address book, so that you can use this information to connect with them through the application. In addition, imo will send an invitation to your contacts to let them know that you are already using the app and if they don’t have to join it, they can join too. The first thing to do is to download imo free call. Now from our phone we go to “Settings” and allow installation from unknown sources. The download of the app will start and be saved in the File Manager. Select the downloaded file (We will see a warning), read the warning and click on accept and install. Now we can access one of the best tools to make video calls and send messages of the present time, totally free. How to use imo video call free? The person we want to communicate with must have imo video calls installed. If not, we can send you an invitation or a link to install it. When you enter IMO you will see two columns CHATS and CONTACTS. 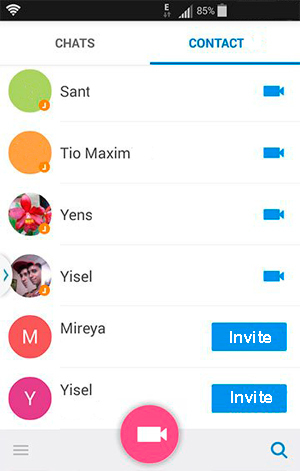 In the second column (Contacts) we see all the available Contacts of our mobile. To start a conversation, just look in your Contacts list for the name of the person you want to contact. As you can see in the image the icons of the contacts are different, at a glance you can see who has imo installed and who does not. To start a video call, press the video camera icon next to the contact. To chat in a group you first need to create a group using the application menu and select the contacts that will participate in the chat. To initiate a voice call click on the contact icon to open a new screen, now click on the phone icon at the top. We select the contact in the same way as in the previous step and in the lower box of the screen we write the message. To send the message click on the arrow icon. Send and share photos, when sending a text message we have the possibility of attaching one or more images. To add any photo just click on the image icon next to the text box and select the photos you want. If you only want to send one image we can do without the text, we select and send the picture. Video conferencing: It offers the possibility of making long distance video calls as if it were Skype, with the difference that you don’t have to pay anything for the service. You can even spend hours with video conferencing, there are no limits. Free: There is no fee to use the application. Text and voice messages: Send as many messages as you need, there is no limit and it’s totally free. Interface: Simple, functional and easy to understand, all options are available at a glance. Groups: Possibility to form chat groups and share images and messages in them. Search: You have the possibility to search in the message history. Stickers & emojis: Hundreds of emojis and stickers are available for you to use whenever you want. Platforms: It doesn’t matter if you have an Android phone or Iphone, if you have a pc or a laptop, if you have a Mac or a Tablet, Imo is always available for you. Browse news: You can view current news that interests you and share it quickly with contacts or related groups you have common interests in. But the one that best value for money, versatility, functionality and ease of use is Imo free video calls and chat download for mobile – Plus don’t forget that it’s Free.